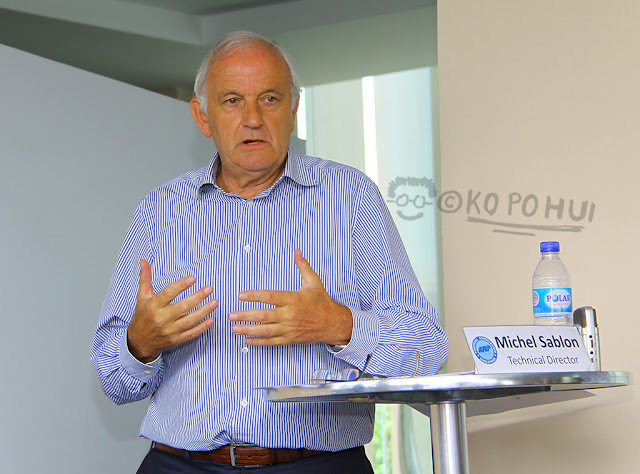 In short, "patient" and "time" are the key prerequisites summed up by FAS Technical Director Michel Sablon in presenting his much-awaiting blueprint to revamp the beleaguered development scheme of Singapore football to the media this afternoon at the Jalan Besar Stadium. 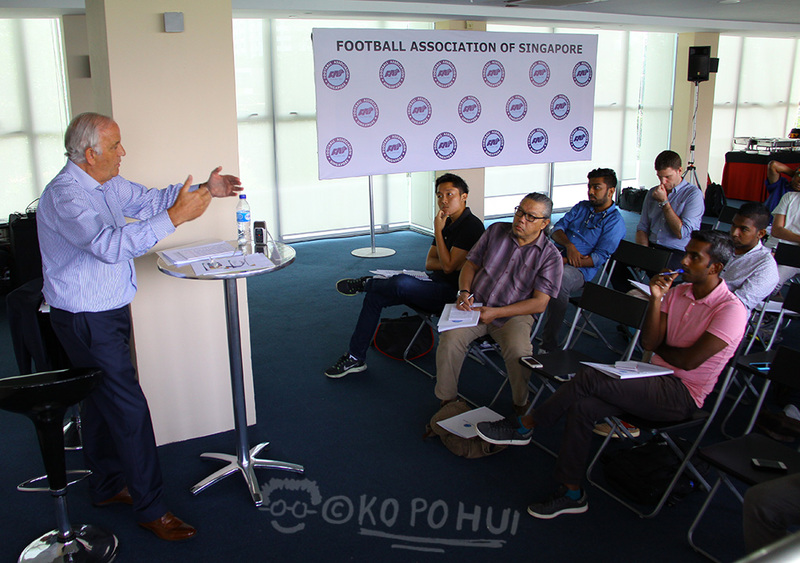 Citing these aspects - "Grassroots", "Elite Youth" and "Coach Education" as the three pillars under the Belgian's vision for the Republic's football development program, the whole idea is to place a systematic structure that build up from the ground level to achieve a "Singapore Style" of football. For a start, kids at the age between six and thirteenth will be placed under the "Grassroots" level where "FUN" element is the main feature for the youngest participants who will learn to play the game under a stress-free environment before progress gradually to learn the finer aspects of the game such as skills like passing, dribbling, etc. as they grow older. Following that phrase, selected players will be elevated to the next pillar of the blueprint - "Elite Youth" catered for the age of players between 14 to 20. However, Mr Sablon reassured that this is an inclusive scheme where no player will be left out if he couldn't make the cut in the first place. 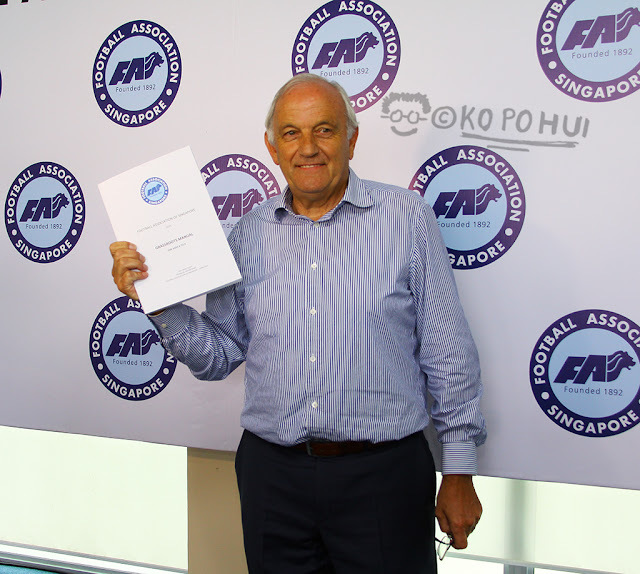 Although looking at the bigger picture, one of the utmost tasks to integrate existing setups of that of those Junior COEs and similar programs run by various S.League clubs under this same umbrella. In order to do so, the former Belgian assistant national coach revealed a principle agreement had been reached with the People's Association (PA) to collaborate the program by utilising the statutory board's 28 CSC facilities island-wide on top of those five centres operated directly by the FAS. Given the magnitude of this ground-breaking program, it is also essential to see emphasis being placed on raising quality of the coaching in the setup with workshops and courses in the pipeline to raise the standards to meet the demand that will see a total of number of 33 "Head Coaches" oversee each of the 33 centres with a help of a qualified assistant. Mr Sablon holds a copy of the "Grassroots Manual"
Active involvement from the parents is also crucial as well in which they will see themselves in volunteering in those non-coaching roles like handling of logistical matters during the training sessions that will be taking place over the weekends that spread over nine months during the period from January to December. "It took eight years in Belgium," said Mr Sablon to see the program he devised that reaped dividends with the likes of Vincent Kompany, Romelu Lukaku emerged from his native Belgium. "It will take time with a lot of passion and conviction that we have to start from the very beginning."